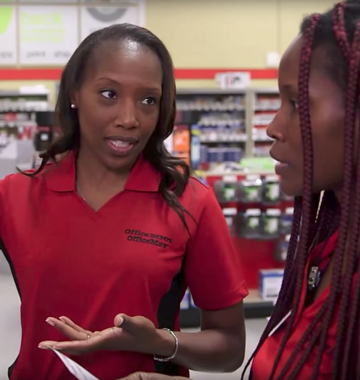 At Office Depot OfficeMax, taking care of our customers is our #1 priority. And no one plays a more significant role in making that happen than our amazing store associates. From greeting customers with a smile, to printing their business cards, to helping them find the perfect solution for their needs, our store associates are the face and voice of the company and the ones who ensure our customers have the best experience possible on every visit. Search our jobs, be a part of our team.